Bance returns to Burkina Faso to join US des Forces Armées. 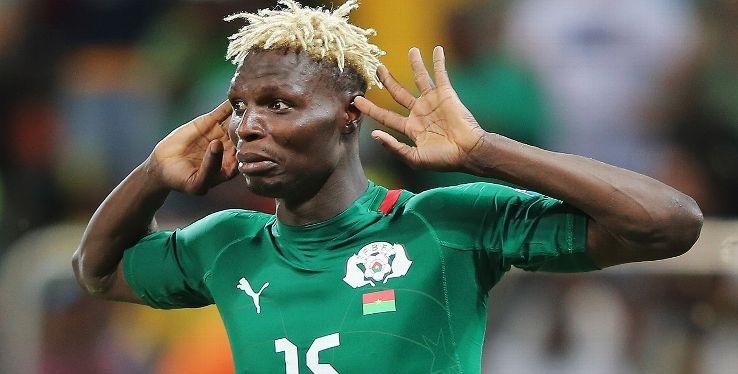 Burkina Faso international Aristide Bance in a surprise move has returned to his home country to join US des Forces Armées until end of the season. The former Beerschot A.C striker, who has been trading for over 14 years in Europe terminated his contract with Al Masry in late 2018. He made 19 appearances with the Port Said-based club scoring eight goals and produced three assists. The former Al Masry striker made 73 appearances for Burkina Faso, including 2013, 2015 and 2017 Nations Cups, and has scored 22 goals. Bance had spells with clubs in Ivory Coast, Belgium, UAE, Latvia, Finland, Qatar, Ukraine, South Africa and Kazakhstan. Sources close to the striker has said he needed a fresh start to revitalise his career ahead of the 2019 Africa Cup of Nations in Egypt. He last played for Burkina Faso in their 4-0 home win against Cape Verde in a 2018 World Cup qualifier on 14 November 2017.